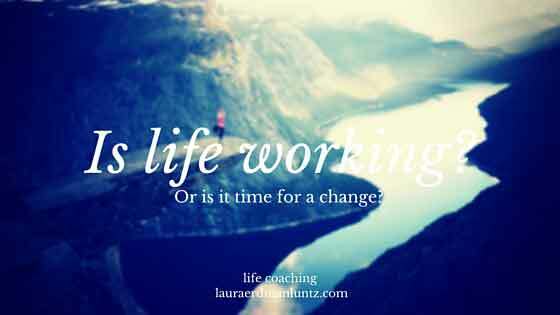 A Yoga & Life Coaching Moment: Is it time to leap? Sometimes the answer is a resounding, “Yes!” and sometimes it makes them think (which usually means no). If someone is staying in the very same level because it is just what they want, the class level fits who they are and feeds them, wonderful. I have read many yoga books and studied yogic philosophy and I am quite sure I have not come across anything that says, “Thou shalt not stay at one level class for too long.” Yoga is suppose to nurture who you are, gently pushing you to do more with your life. Many people need their class because it is the one calm in their life, the one sure thing. Knowing that can certainly be supportive. But others remain at the same level out of a fear of the next step and fear of not being ready. When it is that for someone, I gently suggest they try the next level once — the door is always open to come back to their comfortable level. Isn’t that true in life? Sometimes we remain where we are because we feel supportive and enjoy not being pushed to grow. In which case, it may be supporting growth in other areas. Other times we are stuck out of fear. Think about your own life. What is true for you? Sometimes there is a gentle way to “sample” the next level so it isn’t so scary. Other times it is a true leap of faith.